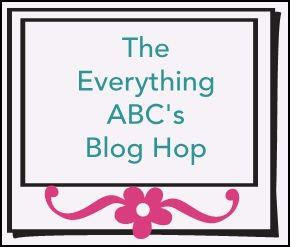 Scrappin' with Shalana: The Everything ABC Blog Hop ~ Featuring the Letter "B"
The Everything ABC Blog Hop ~ Featuring the Letter "B"
If you came from Linda Scrappy Therapy then you're on the right track! The Letter "B" is represented by the CTMH "Bracket Frame"
Here are some shots of the frame showing the dimension. Love the color combinations. The bracket frame is a great gift idea...after you decorate it of course. 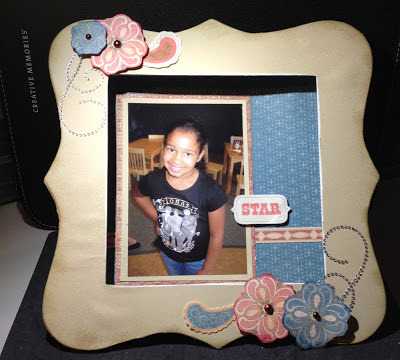 Your next stop on our Everything ABC'S blog Hop is Joanne Barnes ~ Josie Joy. I love the frame. The colors look great together. Love your frame. I haven't tried one yet, but yours has giving me a great idea! Such a beautiful project again! Thanks for sharing. Very cute! I haven't gotten brave enough to try the frame yet! these frames are so fun to make, and yours is extra special with another beautiful daughter pic!